BBCL unveiled ‘Down to Earth’ - a green campaign on this day. Our guests Honorable Justice Thiru Karuppiah, Madras High court, Honorable Justice Thiru Chockalingam and..
Chennai, January 31, 2015: BBCL - a Vummidi Enterprise Company, unveiled ‘Down to Earth’ - a green campaign today. 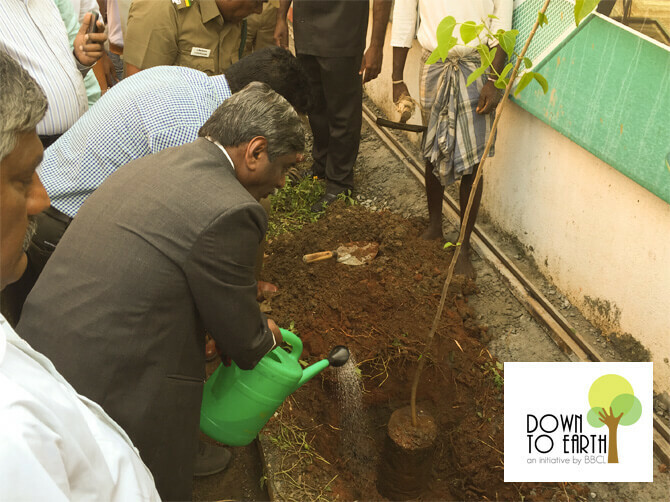 The initiative was kick-started by Honorable Justice Thiru Karuppiah, Madras High court. Honorable Justice Thiru Chockalingam and Thiru C.Vijayakumar, Zonal Asst. Commissioner of Police (Sozhinganallur District) graced the occasion as Guests of Honor. 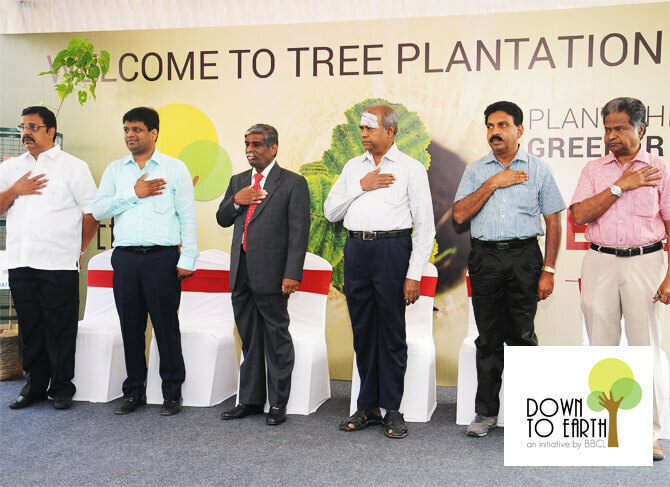 BBCL - one of Chennai's trusted developers, started the sapling planting initiative at one of its premium residential projects ‘BBCL ASHRAYA’ – located at OMR, Thoraipakkam, Chennai. Mr. Vummidi Ananth, Managing Director, BBCL says, “Since 2013, BBCL has pledged to make all its projects green. 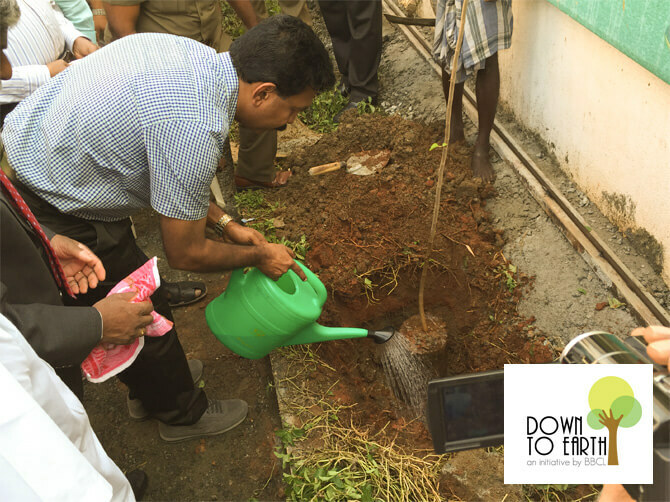 The ‘DOWN TO EARTH’campaign is a step towards reaffirming our commitment to keep the environment green. We chose to inaugurate our campaign at BBCL Ashraya since it is a premium and an eco-friendly building offering all sorts of luxuries. We wanted to showcase how luxuries and eco-friendliness can co-exist without harming the environment. 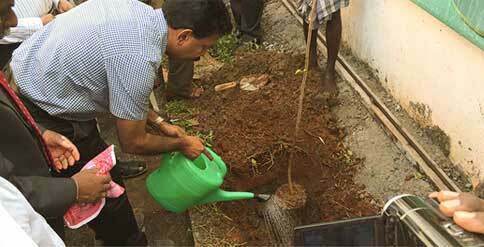 As part of the initiative, BBCL Ashraya’s residents took part in planting the saplings. They named their sapling and took an oath of maintaining it on a regular basis. In line with BBCL’s brand philosophy - "Adding Life To Living", the company plans to initiate such activities across all its projects. This initiative will be taken over to 6 of BBCL’s projects in the city targeting its residents. Through this campaign the company intends to spread the message of ‘Go green’ to its patrons.